You are here: Home / Reviews / Book Review / Get Ready For Kindergarten With LeapFrog! 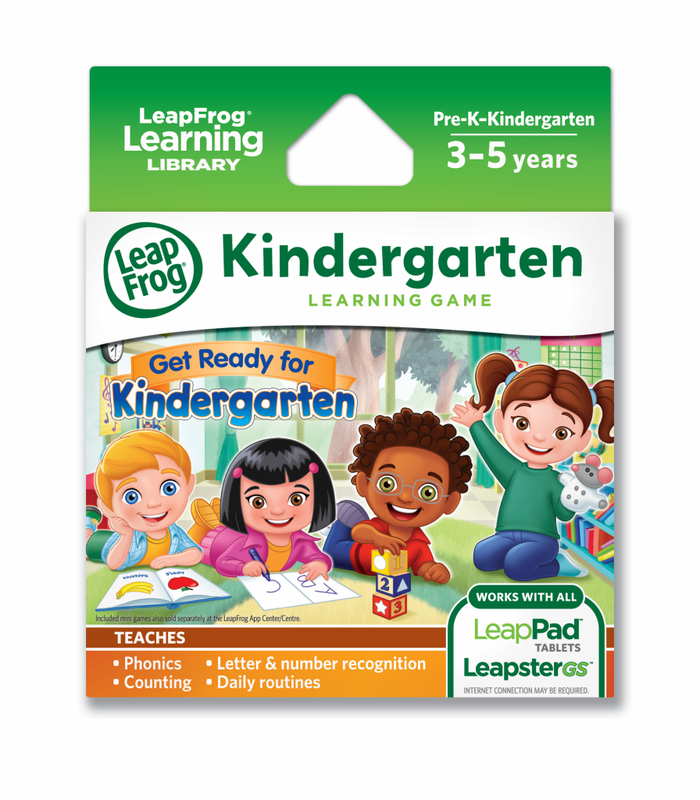 Get Ready For Kindergarten With LeapFrog! Disclosure: I received the featured products as part of my LeapFrog ambassadorship. All opinions, as always, are 100% my own. They don’t give up easily, even when a certain task is challenging. They can dress themselves and put on their own shoes. They use words appropriately to solve various problems. They can follow multi-step instructions and ask for help if they need it. 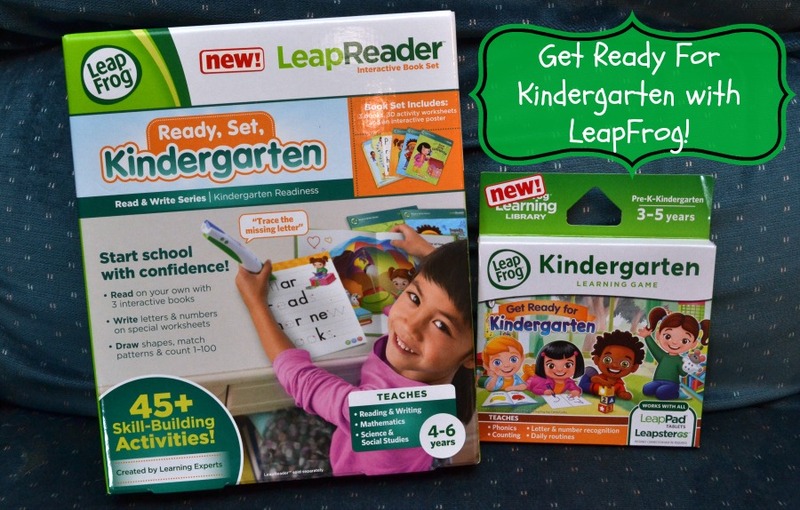 To help your son or daughter get ready with these skills, they have two wonderful products out, LeapReader Read & Write Activity Set: Ready, Set Kindergarten and the LeapPad tablet/Leapster GS game Get Ready for Kindergarten! 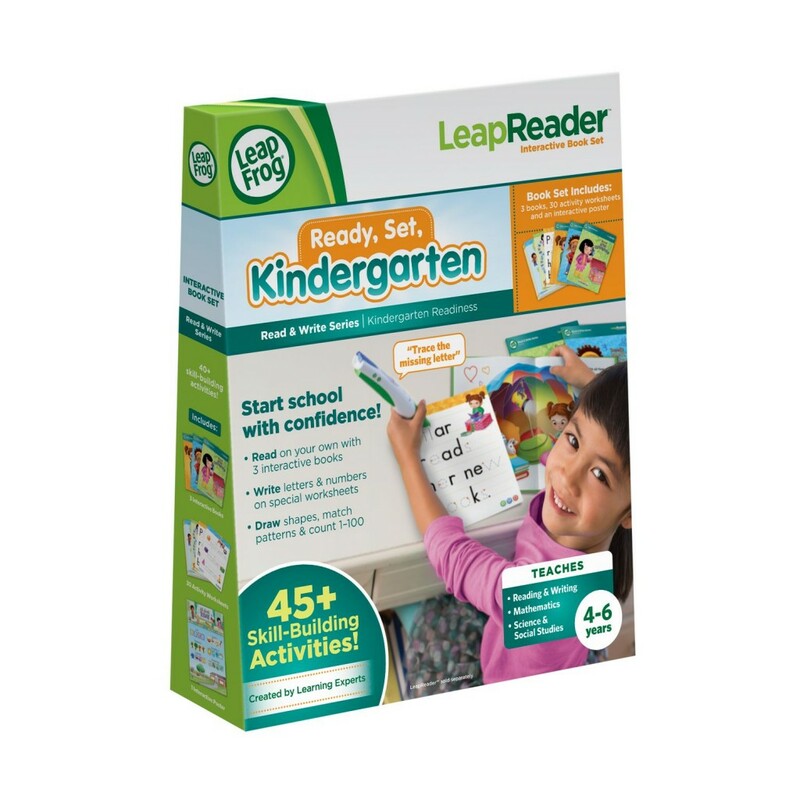 The LeapReader Read & Write Activity Set: Ready, Set, Kindergarten introduces children ages 4-6 to reading and writing, science, mathematics and social studies. It does so with 3 original, engaging storybooks that have 45 integrated skill-building activities. There’s also 30 sheets of special mess-free worksheets and a fun, interactive poster. Pilar’s Reading Hideout teaches rhyming, early handwriting, letting recognition, and understanding books and print. David’s Pirate Adventure teaches shapes, counting and numbers, and patterns and sorting. Grace’s Attic Exploration helps children make scientific observations, classifying, and asks science-focused questions. I love the social skills poster because it helps children recognize and describe the day of the week, weather and seasons, as well as helps them express their emotions and aspirations for that day. The other part of this wonderful kindergarten readiness curriculum is the Get Ready for Kindergarten game cartridge! For kids ages 3-5, they will get to explore a kindergarten classroom, practice telling a story, use math skills to feed hungry dragons, pratice letter writing and solive logic puzzles with Stretchy Monkey. With great interactive characters like Ozzie Otter and friends, the fun dragons in the Dragon Cafe and Stretchy Monkey, your children are sure to be interested and not even realize they are learning! Riley loves to play this game, and with her only being 3, I know she is on the right path to being kindergarten ready thanks to LeapFrog! What grade will your child be entering this year? How do you get them prepared for school? My daughter would love this. We have many Leapfrog products and they are all awesome. What a fun and educational way to get ready for back to school, I am sure my niece would just love this! We have tons of LeapFrog products and they have helped both of my children so much! I love them! Oh, I really wish I had this one last year with the twins. They just finished Kindergarten yet I clearly see how this would have helped them!! I’ve always loved the products from Leap Frog. This looks like a great item for your rising kindergartener to use. My niece had a LeapFrog reader when she was younger. She used it all the time. It really helped her with her vocabulary. This is amazing! I need to look for this for my daughter. She could use the extra help. We just got a leapfrog for our youngest. I am going to look into this. Was hoping to put him in preschool to prep for kindergarten but schedule didn’t work. My 2nd starts Kindergarten this year. He’s over the moon excited! We love LeapFrog products! I love how educational Leap Frog products are! Sounds like this is the perfect school prep for kindergarten! Super cool! We’ve been looking at getting something like this for our toddler for Christmas (she’ll be just shy of 3). I love that it grows with her for a few years so she can continue learning with ONE product! LeapFrog makes such amazing products for kids. My kids use them frequently in our home! My kids had lots of Leap Frog toys were they were younger. I am glad to hear there are still lots of leap frog products to chose from. I have two daughters going to school this year that love LeapFrog. One will be in k and the other in 2nd grade! These programs are great! As a former elementary school teacher I can say that they really do help kids to prepare for school! And they are fun! We love our Leapfrog products! They definitely compliment their learning programs. What a great product from Leapfrog!! I am going to have to put this on my list to watch for my nephews I bet they would love it! All of my kids have used Leapfrog products at some point in their development. They really do make great learning devices for kids. This helps them get a handle on so many of the skills necessary for school. I’m all for it! You can view my disclosure policy here! Want to advertise on Optimistic Mommy? Find out how here!